Our state’s wine and grape industries are worth protecting from pests and diseases we don’t currently have, including grape phylloxera. The SA wine industry is worth $2.35 billion to the state’s economy and we have some of the oldest vines in the world. But, we are now operating in a heightened biosecurity landscape. The industry is more interconnected than ever, with increasing movement of grapes, grape products, machinery, equipment and people between countries, states and regions. An overarching review of the grape phylloxera conditions in South Australia’s PQS has not been undertaken since 2009, when the National Phylloxera Management Protocol was published. Vinehealth Australia has developed a consolidated Condition 7 for grape phylloxera as a replacement for the current Conditions 7, 7A, 8 and 8A. This proposed new condition has been informed by a state pest risk analysis for grape phylloxera and an evaluation of recent phylloxera research around efficacy of disinfestation protocols. The next critical step in the PQS review is to seek industry’s feedback on the proposed changes, for which we have produced a Consultation Pack (refer right) to help. 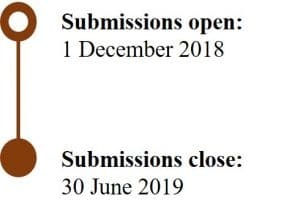 Industry consultation opens on 1 December 2018 and will run until 30 June 2019. We encourage feedback to be provided via the feedback form in the Consultation Pack, prior to close of the consultation period on 30 June 2019. In addition to the above, Inca Pearce (CEO) and Suzanne McLoughlin (Technical Manager) welcome any individual or business wanting to discuss the proposed changes on a one-on-one basis. At the end of the consultation period, Vinehealth Australia will assess all feedback received and then provide a set of recommended changes to the phylloxera-related conditions in South Australia’s PQS to Biosecurity SA and the Minister for Primary Industries and Regional Development. All email and postal submissions must have a completed Feedback form.